A small crack or one leaky window might not seem like a big problem, but taken together, your home’s small drafts can add up to lots of wasted energy dollars. Seal any gaps around electrical outlets, ducts, windows and doors with foam sealants, caulking or weatherstripping. 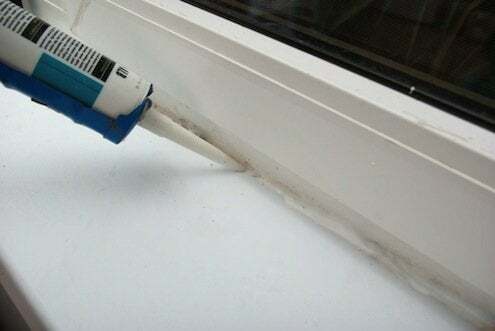 On the outside of your house, seal with caulking anywhere different materials meet, like between the siding and the chimney, window and door frames and at the foundation. Even small gaps around cables, lighting fixtures, spigots, electrical outlets, dryer vents and air conditioning pipes can add up to big air infiltration problems and compromise your home’s thermal efficiency. To fill large gaps, expandable polyurethane foam works best, but use it sparingly since it can over-expand and it’s a greenhouse gas producer as well. Water-based expandable foam works well in small cracks and won’t over-expand.